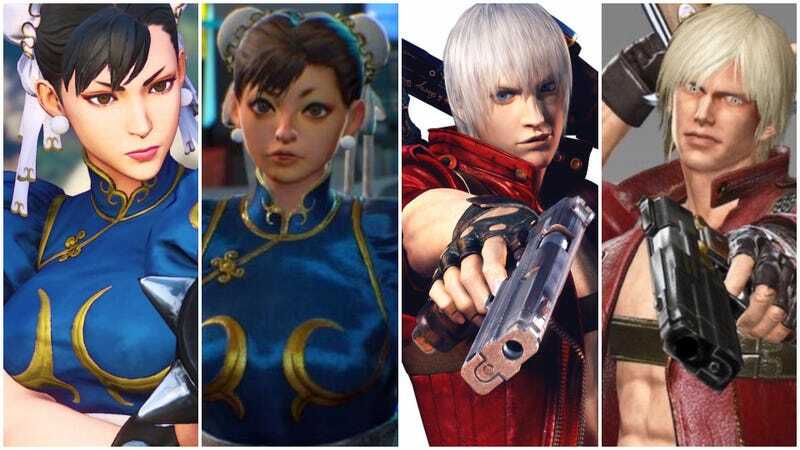 As it is with video games, character designs evolve and change over time. Sometimes they get better, and sometimes they do this. Fans notice! For example, one character looks so different in Resident Evil 6 that his appearance launched conspiracy theories (more here, spoilers). Now, folks are noticing how in Marvel vs. Capcom: Infinite that Chun-Li has...changed. No conspiracies, though, just facepalms. Chun-Li isn’t the only character who looks different in Marvel vs. Capcom: Infinite. Dante from the Devil May Cry series looks strange, too. And by “strange”, I mean awful.